Consumers in the United States have an expectation that the goods they purchase will not expose them to an undue risk of harm. They are protected by a number of laws and regulatory agencies, including the Food and Drug Administration and the United States Department of Agriculture. However, dangerous food and beverage products still frequently reach store shelves due to the inability of these measures to guarantee a 100% success rate in inspection and enforcement. Individuals who buy and consume unsafe food products may suffer severe illness and might be able to sue for compensation. If you have been sickened by an unsafe food product it is important to ensure that you are fully advised of your legal rights in this matter. 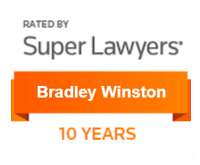 Contact the experienced Fort Lauderdale product liability lawyers of The Winston Law Firm, by calling [phone-number]. There are many different steps in our modern food distribution system and inadequate care during any of them can create a needless danger. Producers have an obligation to be forthright about the condition and circumstances of the source, truckers and food companies must ensure that transportation and packaging are conducted appropriately, and grocers must serve as a final line of defense in the identification of unsafe products. Do not delay seeking legal counsel if you or your loved one has been harmed by a dangerous food product. 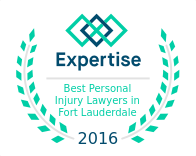 Contact the qualified Fort Lauderdale injury attorneys of The Winston Law Firm at [phone-number] today.